Share the post "How to Use Redis in Java using Jedis"
There are multiple clients on how to use redis in Java. 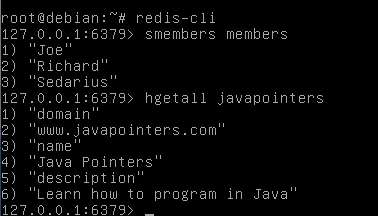 In this tutorial, we will be using Jedis, a simple, fast redis java client. We will also be using Maven as our build tool, otherwise you can just import the jar file of jedis in your project. Also, this assumes that you have already redis server installed, if not, visit this link on how to configure one. This is a simple Java Class. It uses Redis SET and HASH commands. You can learn different commands in Redis in their website. //let us first add some data in our redis server using Redis SET. Depending on what version of java your compiler is using.